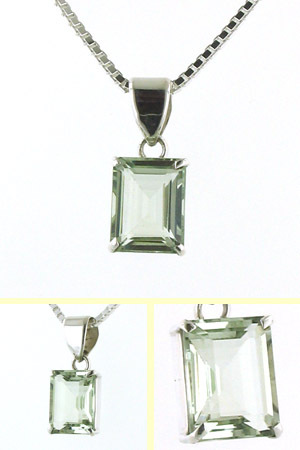 Emerald cut green amethyst pendant. 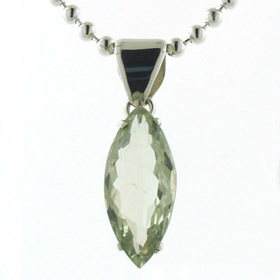 This gorgeous solitaire pendant features a large, eye clear, green amethyst gemstone. 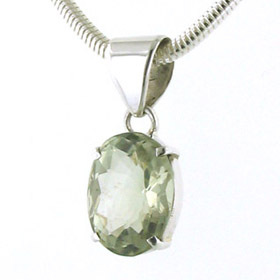 Green amethyst is a delicate, subtle shade of sage green and works well with many colours. 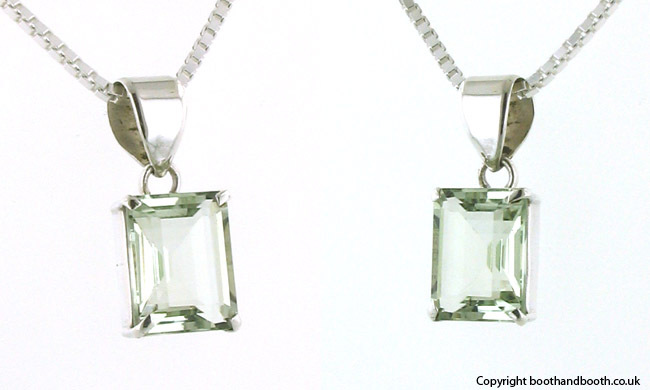 This excellent rectangular pendant is claw set in sterling silver. 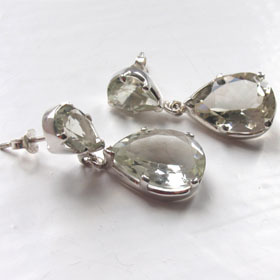 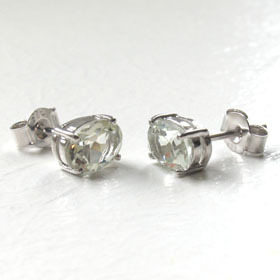 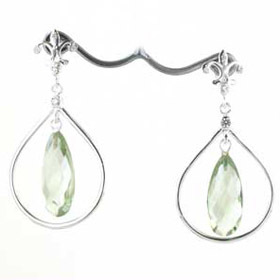 See also our green amethyst earrings. 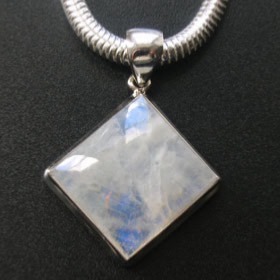 For the ideal sterling silver chain to wear with this pendant see our collection of Italian sterling silver chains. 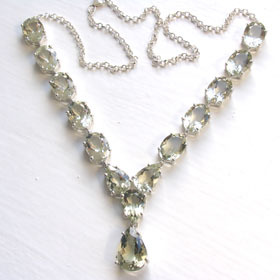 The chain featured is our sparkly and fluid diamond cut 2mm box chain (see below).